Do you have a room in your house that's always Too Hot or Too Cold? for common heating and cooling problems. Southwest Heating and Cooling is here to service all your climate control needs in Cape Coral, Florida. Whether you need an air conditioning repair in Cape Coral, FL, a replacement in Naples, FL or a duct clean in Ft. Myers, FL – rest assured, our knowledgeable staff understands your needs and concerns. We inform our customers in detail with specifics regarding their units, provide recommendations and respect their decisions when it comes to repairs and/or replacements. While we are on a call at a home, our technicians listen to the customer which enables them to properly diagnose the problem, most often in a timely manner. No matter where you are in Southwest Florida, unforeseen repairs are inconvenient, can be costly depending on the age of the unit, and are events which are typically unpleasant. We understand! We make every effort to arrive same day if your system is down to get you up and running. It is our great service that keeps our customers happy. We have found that when people are informed and shown empathy to their needs, the value they place with an honest and dependable company is immeasurable and will last a lifetime. Likewise, we value our customers to the extent of always doing what is right. Need air conditioning services in Southwest Florida? Southwest Heating & Cooling in Cape Coral keeps your home cool all year round. Contact us today. Southwest Heating and Cooling has a combined 25 years in the air conditioning business so there is no job to big or too small. 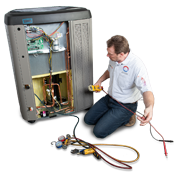 From a regular maintenance to complex repair and installation of heating and cooling equipment, we do it all! We have experience with AC repairs for both residential and commercial buildings. 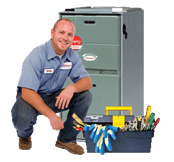 Our technicians can service all types of units, including specialty systems. We have over 25 years of experience serving the Southwest Florida communities of Cape Coral, Fort Myers, and beyond. We are fully licensed, bonded and insured for our customers protection and peace of mind. In this day and age, it's refreshing to find a company that doesn't try to push more repairs than are absolutely necessary. I would highly recommend Southwest Heating and Cooling to anyone considering a new air conditioning system, or service to an existing one. 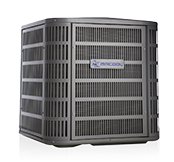 We use Southwest Heating & Cooling for all of our air conditioning needs. They always show up on time and their technicians are great to our customers. As the President and CEO of Captain Steamer, Inc. I have nothing to say except how impressed I was with your service and installation of my new Lennox AC system.I spent 30 years as an electrical contractor in the New York area and you are truly experts in your field. Please feel free to use me as a customer reference anytime. Let our pros provide you with a no obligation complete service quote and see what sets us apart!